Here we have the Chair of UNISON Standing Orders Committee, Clytus Williams, giving his traditional Friday morning final report to conference with the aid of music and a Knotty Ash tickling stick. We were after all in Liverpool and I think his version of the Ken Dodd classic was his best SO report ever. "Happiness to me is a Group debate, A Composite that we all rate". Excellent Video by NAPO! "The Government plans to outsource 70% of the Probation Service's work to private companies such as G4S, Serco and Sodexo. This will include supervision in the community of ALL low and medium risk offenders, running treatment programmes, unpaid work and more. Napo believes these plans are ill thought through, thin on operational detail and, with the planned tight timescale, will be unworkable. But, most importantly, they will undermine the good work the service is doing and pose a threat to public safety. The true motivation behind these plans is to drive down costs regardless of the impact on service quality. There is also an ideological commitment to privatisation. Currently Probation Trusts are not being allowed to bid for their own work. Napo believes justice and public protection should not be about profit. It should be about public safety, reducing reoffending, rehabilitation and preventing further victims. There is already a successful organisation providing this in England and Wales. It's called the Probation Service. Don't let it be destroyed. The NDC health and safety fringe was titled "Safety in Numbers" with presentations on campaigning in hospitals and Glasgow City branch on workplace stress. There was some disquiet on the perceived lack of emphasis by some delegates on health and safety in conference business and the UNIZONE. While I think we need to do far more on safety issues in recent years it has raised its profile at conference. We, the activists just need to do more to increase this profile further. One suggestion was that many members do not appreciate "elf & safety" at work but when you ask are they concerned about stress, violence, overwork, bullying...? they "get it". Another was that a set time for conference ought to be set aside to debate workplace health and safety issues. 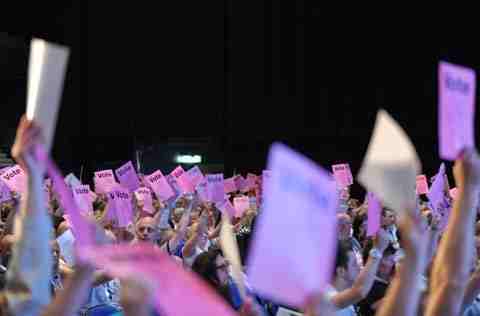 I am well behind on my posting on last weeks UNISON NDC conference so will try and catch up over the weekend. 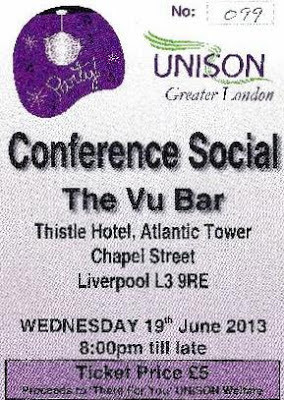 Top UNISON social of the conference was of course that of London Region. The Thistle hotel was an excellent location with a private bar and disco area with a balcony overlooking the Mersey. We all had a free first drink due to the hotel messing up the regional delegate meeting on the Monday evening. Conference is not just about speeches, debates and fringes. Delegates have been known to have the odd drink and to let their hair down once or thrice. Proceeds from (£5) ticket sales, advertising and raffle went to UNISON Welfare/There for you. Many thanks to regional staff for running around and organising it. 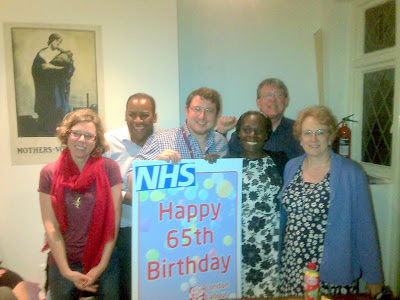 Picture is from the end of tonight's West Ham CLP AGM and of some of the new "dream team" Executive also celebrating the 65th birthday of the NHS. 58 delegates crowded into the Party rooms at 306 High Street, Stratford, E15. Best attendance since 1980s according to one delegate. For contested positions we had one minute hustings then ballot. It all went pretty smoothly. From left - Julianne Marriot, new vice Chair Campaigns & Communications; Terry Paul, re-elected Assistant Secretary; Gordon Miller, re-elected Agent and new Vice Chair membership, Charlene McLean, re-elected Chair; Alan Griffiths, re-elected Secretary and Anne Easter, new Women's officer. Not in photo was John Saunders, re-elected Treasurer; John Whitworth, re-elected political officer; Winston Vaughan, re-elected as Equalities Officer; Kim Silver, re-elected as Trade Union Liaison officer; Ahmed Noor, re-elected as Social officer. Apologies if I have missed anyone out? Kim and I were also re-elected to the Executive Committee as 2 of the 4 trade union delegates. "Our Very own Welfare Officer and UNISON steward Mitsy Harmon is doing a sponsored walk in aid of Unison Welfare’s Bucket and Spade appeal this weekend and has created a just giving page to make it easy for people to sponsor her. Can you publicise her page to the membership please as it’s a very worthy cause. The bucket and spade appeal has been set up to provide a holiday for low paid members see more details below. The Bucket & Spade Appeal aims to raise funds for the family holidays provided by UNISON Welfare - There for You. Although there has been a huge growth in tourism a quarter of the UK’s population, including many families with children, are excluded from taking holidays, mainly because they cannot afford them. Our family holiday service provides a much needed break to families whose very difficult circumstances mean they have the most to gain from the stress relief that a holiday can bring. Thanks to the many volunteers who have taken part in our sponsored events, and the support of branches, members and staff we have raised over £250,000 so far. All the monies raised for the appeal are held in a restricted fund to be used exclusively for family holidays. Why it makes complete sense to autoenrole into your Company Pension Scheme. Colin spoke about the need to bring the fund management of the local government pension (LGPS) fund "in-house"and stop being ripped off by City fund managers. He briefed us on the new governance arrangements of the LGPS which will probably come into effect in 2015 (we think). Mo praised Colin for his work on pensions. He had been the first to point out why schools and hospitals use PFI to fund rebuilding when we have money elsewhere? The Greater Manchester Pension Fund (GMPF) is worth £10 billion but it only has trade union observers with no voting rights. The fund is looking into localised investments. It wants to build 240 homes for market rent. If you pay into a pension scheme then the area you live in should also benefit from scheme investments. Mo said that fish always rot from the top. We should make sure that in the LGPS we change fund management from the top. My question to both is that UNISON should consider regional networks of LGPS pension reps to encourage and give face to face support to reps? There use to be a national network of LGPS reps who actually sit on pension panels and committees, who could be consulted and give feed back on what they they need to help them carry out their duties. Colin responded by saying there will be a national consultation forum. He warned us not to underestimate those who feed off your money. Do they want to give this up? There are huge vested interests. 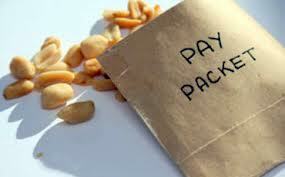 The LGPS has high fees plus hidden charges. You could clear pension deficits within 8 years if the LGPS was merged & you cut costs and raise performance. 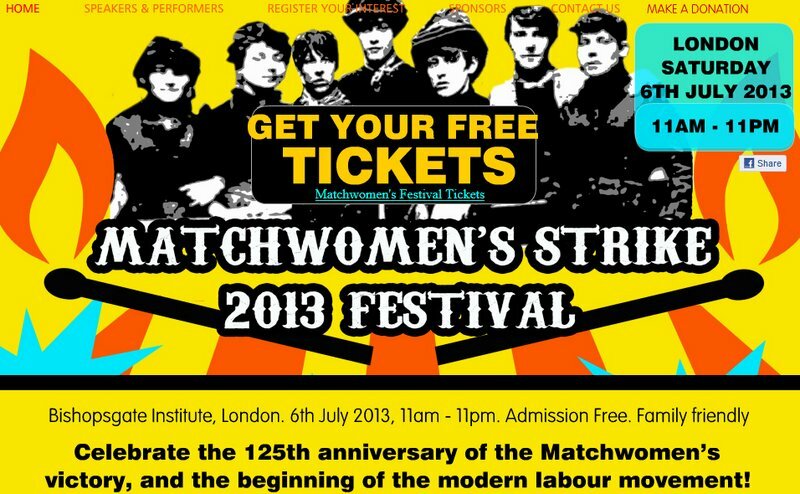 I have worked near the former Bryant & May Match Makers factory in Bow, East London for 20 years and knowing how difficult it is to organise and represent workers nowadays, never mind 125 years ago, I would take my hat off to the Match Women who led the way and showed us all since what is possible. 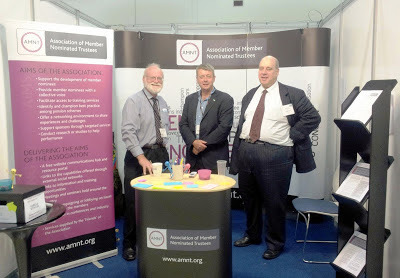 This picture from the Pensions and Benefits show at the Excel Centre in London earlier this month. The Association of Member Nominated Trustees (AMNT) had a stall during the 2 day event run by AMNT volunteers. I only managed to pop in briefly during the Wednesday lunchtime to say hello. Beforehand I went to a presentation on "Fiduciary Management" by MN. They reported that in June 2007 the average DB pension fund was 124% funded! Now it is only 84%. The Fiduciary Management argument is that they can close this closing gap by pooling investment funds and cut costs and improve performance. I think there is an argument that scale can achieve this but in the Q&A I questioned why they use the term fiduciary when actually they have no fiduciary duty to pension trustees? Their fiduciary duty is to their owners and shareholders. I think that this is a fundamental confusion. On a more positive point I did wonder whether this model could be considered as an option in the consultation currently taking place in the Local Government Pension Scheme? Individual LGPS could remain while they pool fund management? 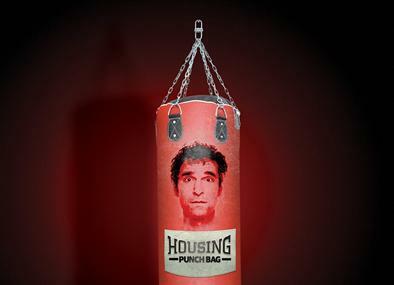 Well done to Inside Housing magazine (again) for their recent survey of housing workers. 83% believe that they face more risk of violence at work due to welfare cuts and 41% feel less safe than they did 12 Months ago. In a second article looking at a rise in verbal and physical assaults during the past 12 months there was a number of horrendous quotes from different housing staff who are shouted and sworn at on a weekly basis; kicked; punched; shot at with a air rifle; had a bowling ball thrown at them from a high rise; threats to kill; threats to burn down their homes and kidnap their children. What is also worrying is that 75% of staff believe that their employer is not doing enough to protect them and 25% think it is pointless reporting such incidents to their boss since it would be a "waste of time". They also believe cuts in staffing levels have made the risk worse. Until we can get rid of this Tory led coalition government unions and employers must work together to try and keep housing staff safe. We need more union safety reps who must be given sufficient time off to be trained, attend joint safety committees, properly inspect workplaces and constantly review updated risk assessments. Employers need to put their hands in their pockets and fully resource their health and safety advisers, buy decent and up to date protective equipment for staff and most importantly - stop threatening to evict those tenants who cannot pay bedroom tax. There are other ways to collect debt and in many places there is no suitable smaller alternative accommodation to offer them. I came back last night from the UNISON National Delegate conference in Liverpool. 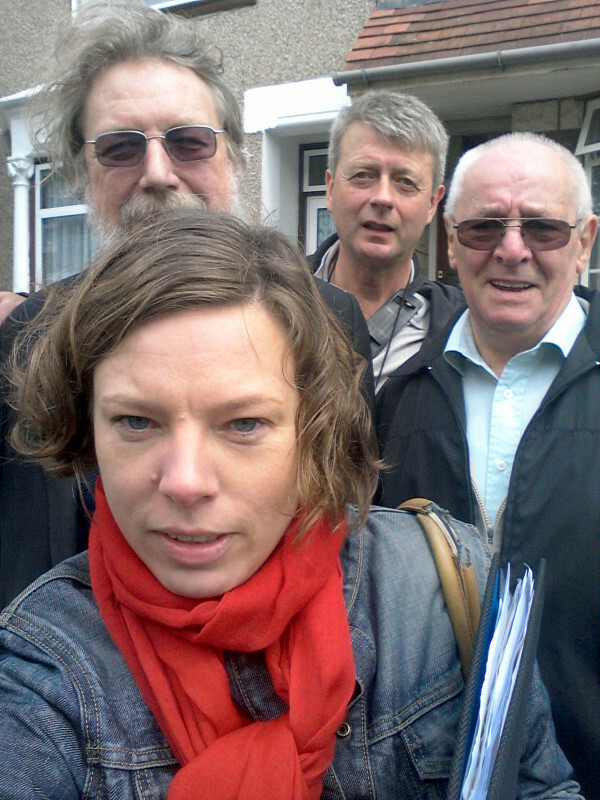 No rest for the wicked and was out again this morning for a Labour mobile surgery with Cllr Ron Manley, John Whitworth and Julianne Marriot. The surgery went well. Most residents we spoke to had no complaints and many compliments about Council services in this area. Some residents were concerned about street cleansing and late night anti-social behaviour (ASB) by youths in the nearby park. I will speak to the Council ASB unit and the Police Safer Neighbourhood team about what they are doing about this problem and offered to meet with residents. For some reason I forgot to take a picture of this lunch time fringe? First off was UNISON Assistant General Secretary, Karen Jennings, who opened this important fringe on Pay & Privatisation by making the arguments against the lies and propaganda of the Daily Mail & Taxpayers (aka Evaders) Alliance and dispel the myth that in the public sector "pay" is more than in the private sector. You have to measure like with like. A recent report by Swansea University showed that in the public sector workers are actually paid 2% less than in the private sector. You need to fully job evaluate jobs in both sectors to properly compare. If you do this you see massive pay advantages in the private sector and especially in manufacturing. Remember it is a fiction that the public sector are paid more. UNISON National officer Gavin Edwards from the "Bargaining and Support unit" detailed what they can do to help branches and stewards. You can get background information and local reports on private sector bidders for public contracts and find out what has gone wrong with these contractors elsewhere. Email the unit and you will get a report back also they have access to the IDS pay data base so you can compare and contrast pay rates. It was good to see that the attempt to sneak into the "Alternatives to Austerity" composite a nonsensical amendment to nationalise the "top 150 companies" was comprehensively defeated at conference. Capitalism was saved! I am sure that the top 150 bosses were so, so relieved that this amendment was not passed that they were finally able to sleep soundly in their beds. This is my speech to conference while moving a NDC amendment to to Motion 33 which was orignally from my branch and was adopted by London Region at our AGM. Conference, your NEC believes that it is important to add to the main motion's call for more and better homes for all, the evidence found in the recent report by the Affordable Homes Alliance, Housing Voice, which is supported by UNISON. The report evidenced the need for a mass house building target of at least 250,000 homes per year for the next 20 years - including at least 80,000 local authority and housing association homes. Conference, this target is achievable. The simple fact of the matter is that there is a desperate and absolute housing shortage in this land. And there is no good reason for this shortage. Remember the first Labour government 1945-1950 despite the economy being ruined by the 6 previous years of total war built one million new homes. While at the same time it built the National Health Service and the modern welfare state. In the 1950’s it was not uncommon for 300,000 new homes to be built, every single year. At its peak in my lifetime in 1968 we built 353,000 homes. The great majority at affordable rents or mortgages. Conference, while I don’t think anyone here really doubts that we will need increases in progressive taxation in order to pay for all the things that we want to improve our society - to get people back at work, building things, making things, doing things of value to our community rather than just rotting on the dole. Which will save public money and get the economy growing again. We also need to look at different ways of funding the new homes we so desperately need. Housing Voice also evidenced and called for at least £5 billion of the billions of pounds currently being spent by the Bank of England on buying government gilts – the so called Quantitative Easing (QE) programme. To be invested instead in low cost housing bonds or other similar measures that that can be used to fund new build instead of lying around in bank vaults. Conference, the simple fact of the matter is that we face a housing famine and that for too long housing need has been ignored. We need to build more affordable, safe, adequate secure homes for all and we need to think out of the box a little on how to fund it. Sorry this has been posted late but it has been a busy few days. 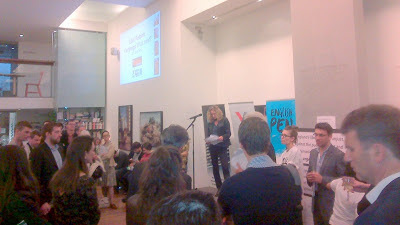 Picture is of NEC Chair of Finance Mike Hayes at the fringe on Tuesday evening. Mike spoke about the compelling need to change the way Unison resources its branches. There is internal and external pressures for change. From our auditors and from the tax office. Our processes are not safe enough to protect members money. The fringe went really well and I was pleased that the finance rule changes went through on Thursday. See what happens with motion 107 later on this afternoon. Picture from fringe on Tuesday lunch time at UNISON National Delegate Conference 2013 chaired by Jane Carolan from NEC. First speaker was James Plunkett (left) from the Resolution Foundation. He reported on the collapse in pay increases since 2000 (Not just since the 2008 recession) and pointed out that only 1/3rd of welfare cuts have taken place so far. He described a "Epidemic of low pay" which he believes is structural. While there has been growth in high pay jobs, there has been a reduction in middle pay jobs and growth in low pay jobs. He believes that better training is not going to be enough to change things. Why does Norway have 1/2 the number of low pay jobs than the UK? It is because they have made different choices than us. James thought that a way forward is the level of the Living wage but he does not believe it should be compulsory but there should be transparency and companies that can afford to pay should be named and shamed if they don't. Next was Faiza Shaheen from the New Economic Foundation (3rd from left). She agreed about the massive low pay problem. Not only is there the cost to individuals who face the choice of eat or heat there is an wider economic cost. 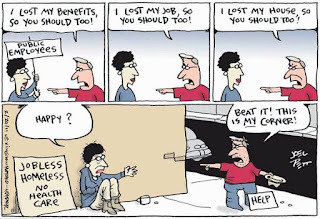 The cost of tax credits to subsidise low pay have increased by over 50%. While even the IMF recognise that low pay has resulted in low demand in our economy. She linked pay levels to union density. The higher the density the better the pay. In the public sector unions have done good work especially on low paid but it is still a low pay sector despite the outsourcing of 400k jobs to the private sector. Faiza thought that looking at wage ratios may be better than the level of living wage. She posed the question - why is the gender gap bin the private sector between men and women significantly higher than the public sector? Final speaker was Assistant General Secretary Karen Jennings (4th left). Karen reminded the fringe that UNISON use to be criticised within the labour movement for its support of the minimum wage and although it is not enough the minimum wage has made a real difference to the lives of the working poor. The growth in the pay gulf has led to many of the poor being dependent on food banks and payday loans. Despite the "bile" of the Tory press about public sector pay the reality is a massive increase in claims from our members to UNISON welfare. A paramedic now earns £5k less in real terms than 2010. While a teaching assistant is £7k worse off. The way out of poverty is now not hard work. No matter how hard they work many are still stuck in poverty. The answer involves the living wage, spread of collective bargaining and ending of employment practises such as no zero hour contracts. But we also need to get people to understand more about the politics of pay. In a recent YouGov poll people listed their top 5 priorities. They complained about high prices for goods and services but only listed pay as their 5th priority. They failed to make the connection between being unable to afford things and their low wages. In the Q&A I asked about the possible role of wage councils in addressing this problem? Other northern European countries still have such bodies and have better pay levels, especially in industries which are hard to organise. James thought they could have a role. Another member reminded everyone that it was not the the traditional low paid who have difficulties. Even if you earn £30k per year. James said that the housing model for the squeezed middle is completely broken. They are unable to buy and pay high rents with no security. He is looking into the role of institutional investment in the rental market. Today is the start of our National Delegate Conference in ACC in Liverpool. I understand that there are 2500 delegates and visitors present and it is one of the largest trade union gatherings in Europe. The conference was welcomed to Liverpool by a special guest, Comedy TV personality, Ricky Tomlinson. Ricky introduced his home town as a City with two famous football teams - Liverpool FC and Liverpool FC reserves! However he made a serious point about his conviction and that of the"Shrewsberry 24" pickets who he believes were "fitted up" during the national building workers strike in 1972. After the President's Address, Standing Orders Committee, Annual and Financial report, business started on a Composite motion on Employment and Trade Union rights. During lunch I went to a Fringe (which I will post upon later) then business started off at 2pm with th emotion "Kick it Out - Racism has no place in football". Next was our General Secretary Dave Prentis (see picture) who gave his annual speech to the conference. After his speech there were important debates on Outsourcing and Privatisation; NHS campaigning and NHS and Social Care integration. Its now 4.40pm and I'm not sure if there will be time for me to speak on the housing motion 33 next? Update: Nope - not enough time. Conference closed. Finance Fringe next. This week there will be a 3 day strike by Unite care and support workers at One Housing Group in London against plans to cut their wages by up to £8000 per year (averaging £2000). This according to their press release is at the same time that its Chief Executive accepted a £31,000 increase in pay and bonuses. One Housing Group is in surplus and is winning new contracts with local authorities. Due to 3 years of pay freezes staff wages have already been reduced in real terms by 13%. Their new proposed salaries are often lower than rates paid 15 years. Unite members voted by a margin of 83.7 per cent in favour of strike action. One Housing are refusing to accept any referral to ACAS. Last Wednesday evening I was invited to take part in an event organised by the Libel Reform campaigners to celebrate the Defamation Act which received Royal Assent in April. This Act has been achieved very much against the odds and is a real victory for free speech, reasoned argument and citizen power. It has still not been "enacted" and there are concerns that much of the detail on regulations and procedures have not been clarified. Also Northern Ireland needs to ensure that citizens have the same protection as elsewhere. But the Libel Reform campaign has been incredibly successful in such a short period of time (2009). There is still more to do of course. I met my old blogging mucker, fellow Labour Party loyalist and Libel Survivor Dave Osler in the Betsey Trotwood Pub beforehand. At the event (next door at the Free Word Centre in Farringdon, London) itself we met up with Alex Hilton (see photo right) and Libel freedom fighters David Allen Green, Robert Dougans and Nick Cohen. At the recent meeting of London UNISON Labour Link, Islington North MP Jeremy Corbyn came to give us his regular Parliamentary report. We ambushed him with a "Congratulations" card celebrating the 30th anniversary of his election as an MP. UNISON also sponsored a Party held last Sunday at his constituency. UNISON is the biggest trade union for people working in housing. Our members work in housing associations, trusts, groups and co-ops in the London and South East area. UNISON Housing Associations Branch has around 3200 members working in social housing in the Greater London Area. Our members work for over 180 employers. We have 11 workplaces with over 100 members, and many other workplaces with smaller groups of members. We organise and represent all staff, whatever post they hold. We recruit in every group of workers; Support Workers, Team Leaders, Housing Officers, Cleaners, Housing Managers. UNISON recruits temporary and agency workers. Sixty seven per cent of branch members are women. We have over 100 elected local representatives. We are recruiting for a Branch Outreach Worker. The overall aims of the job are: Delivering casework and development support in equal measure to the Housing Associations Branch, showing flexibility in responding to varying peaks in demand; Providing advice to and representing members of the Housing Associations Branch, where there is no local representative or where the local representative requires additional support; Referring cases on to the UNISON Regional Officer where a legal opinion is sought; Recruiting members to the Housing Associations Branch; Recruiting, developing and training Stewards and other activists; Negotiating with employers on behalf of UNISON members; Implementing Branch Development Plan; and advising Branch Officers on recruitment strategies and difficulties. Interviews: TBC but likely to be in week starting 8 July 2013. For an application form, job description and person specification email info@unisonhablondon.org or contact UNISON Housing Associations Branch, Resource for London, 356 Holloway Road, London N7 6PA. 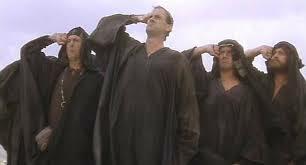 Each month West Ham Labour Party invites a guest political speaker to our General Committee meeting. All party members are also invited to attend (non voting). 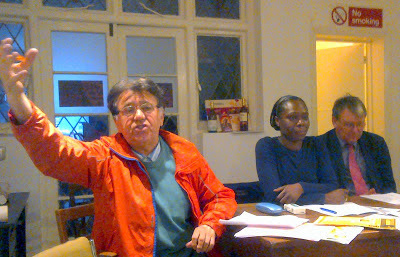 Our speaker last month was the secretary of the Campaign for Labour Party Democracy (CLPD) Pete Willsman. It is the 40th anniversary of the CLPD. He promoted the 3 websites that they run including Left Futures. Which he claimed was not only for "lefties" but admitted that not many contributors were from Progress! Mind you he praised Peter Mandelson for his loyalty to the Party. He promoted CLPD rule changes for the 2013 Labour Party conference including making political levy payers full members of the Party (they use to be), an electoral collage to elect local Labour Group leaders, the Party should have an independent ombudsman to investigate complaints and the right of members to select who are their Parliamentary candidates. Pete predicted that after the next general election there may be a split in political parties and that Cameron Tories, Orange Book Liberals and Progress will break away and join up together. He finished his barnstorming speech by asking the Blarities currently criticising the Party to all "shut their mouths"! Pete gave a hugely entertaining, tub thumping and colourful speech which demonstrated his lifelong passion and commitment to the Party even though I am not that sure how many in the room he persuaded to actually join up. ·Has an optimistic vision for Britain in Europe. She does not accept the Tory and UKIP narrative of Europe in decline, and will fight for reform, jobs and growth. ·Has spent over a decade with the European Left, and at every level: on the doorstep for Labour, working with women to organise the fight back, and with Labour sister parties, at both grassroots and the heart of government. ·Is proud of her Labour values, and to have made her career in the NHS. As MEP, she would take Labour values to Brussels and help give London the partner there that it needs. It is really crucial that UNISON members vote in this ballot to rank candidates from 1 to 6 to determine their order on the list. The London region needs strong voices in Europe, people with the drive and determination to work with the trade unions in Europe on equality and employment issues. With the experience and skill of Sanchia and Ivana, they will be able to make very positive differences and will be proactive MEPs for London, representing the interest of ordinary workers at the European level. We urge UNISON and Labour party members to support Sanchia and Ivana in the ballot.